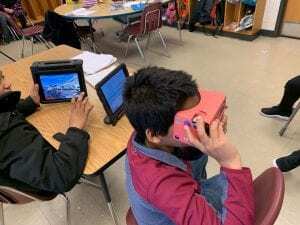 After taking a VR trip to Everest, we read about the dangerous route that has to be taken to reach the summit. We then watched a video detailing the Rockstars that are the Sherpas in order to select the proper rescue vehicle for an injured climber. After brainstorming, a block code was determined, tested and refined until all the climbers were home safely! We then watched video of our experiments and refined it for a more efficient trial! One of the days that truly makes me love my career! This year so far has been so interesting! 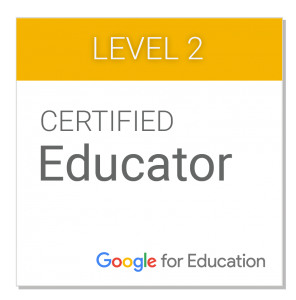 As a class we have had our ups and our downs but the potential that walks into this classroom everyday is amazing. 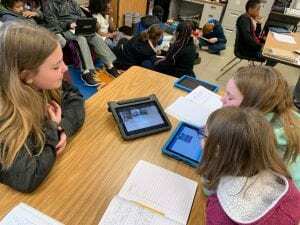 The work that we have produced has garnered international recognition by way of students being showcased by the 100 Word Challenge, I have enjoyed being showcased by Maryland Society for Educational Technology (MSET) as well as being nominated for Outstanding Educator with the Use of Technology again for MSET. Risk tasking, stepping outside of our comfort zones and pushing ourselves is paramount for any growth. 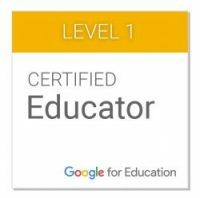 This year I have presented in front of educators from all over central Pennsylvania and in May I will be stepping in front of educators from all over Maryland to speak about how technology has benefited the growth of our students! I remain just as excited about the rest of the year as I was when it started, I cannot wait to see what the future will bring. Fifth grade is more than half way over! I cannot believe all the work that we have done and still have to do. Remember when you post on your blog you are posting for the world to see. We have had visitors from 51 different countries this year! Make sure you put your best effort into everything that you post and that you meet our expectations. Don’t forget to include your stars, wishes and wonders when you are commenting on other blogs. As we move toward the end of the year and the end of your time in elementary school make sure you finish as strong as you started! This chapter ends with the students face to face with Dr. Hellion. Is this the end of the road for our young heroes? Now is your chance to decide how will this story end! Using Google Docs construct the ending to this story and then copy it and paste it to your blog page! Piper McCleod and the other students at I.N.S.A.N.E. all have different dreams of what they want to do when they get out. With our Thanksgiving break a mere 1 days away. If you had unlimited resources what would be your ideal way to spend the break? Post your response on your blog with the title “My Dream Thanksgiving Break”. Please be sure to pay attention to our blogging guidelines. 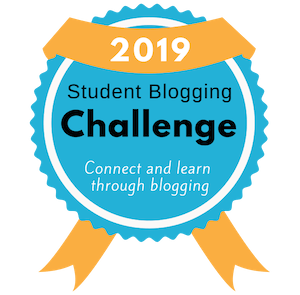 Don’t forget to checkout the student blogging challenge! Read the information under the week 5 challenge about how we are all the same and how we are all different. Fill out the short Google Form about what language you speak and then pick from one of the 4 tasks and complete it by Friday! Happy Blogging! Piper and Conrad have been through a lot and we already talked about how their backgrounds affect the way that they handle difficult situations. In this chapter the author makes us aware of a startling revelation about Conrad. How will Piper’s realization change her relationship with Conrad? Piper has had a rough time during her first day at The Institute. What is the significance of Piper’s wooden bird? How does it affect her outlook for her remaining her time? Post your response on your blog. Remember to double check our blogging expectations and that you are meeting them. 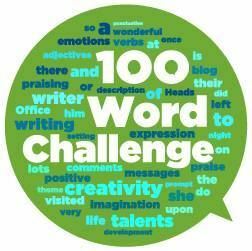 The latest prompt from our friends over at 100WC! Category: Uncategorized | 3 Comments on 100 Word Challenge!! !